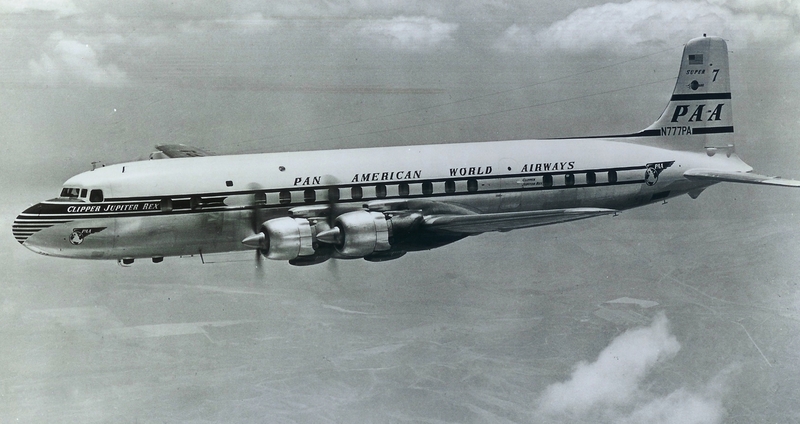 It might come as a surprise, but probably one of the most unknown of U.S. international airlines pioneered one of the key segments in Juan Trippe’s quest to circle South America with airline routes. 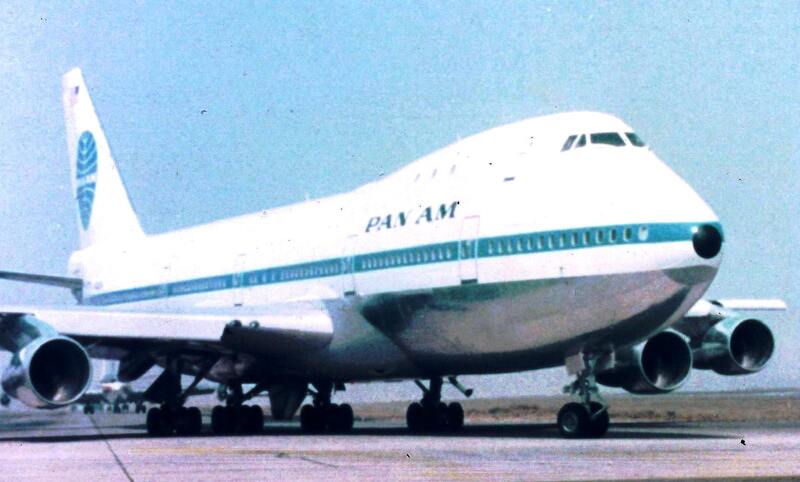 That airline was Pan American-Grace Airways. 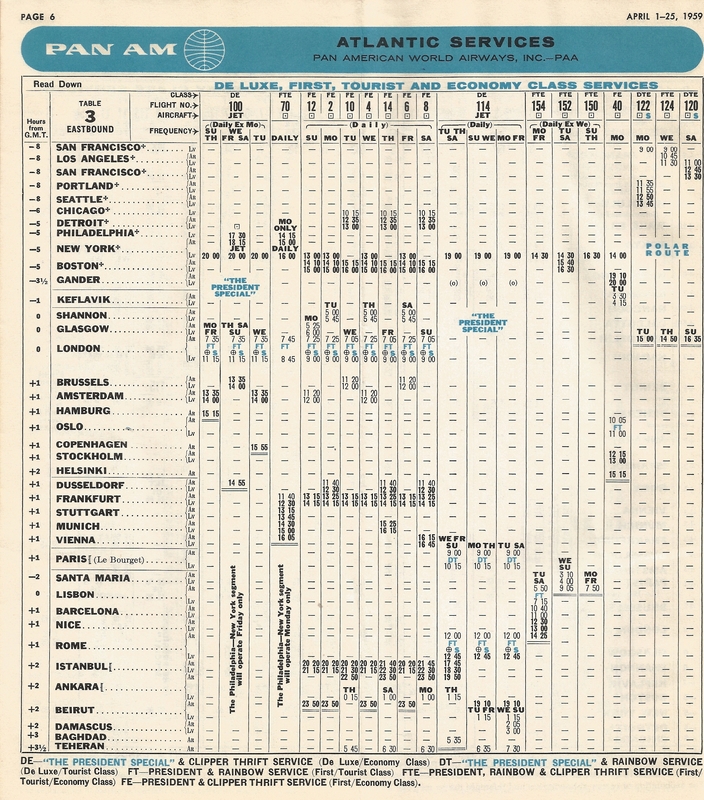 Once Pan American Airways began operations in 1928, it soon became clear that Juan Trippe was intent on operating routes south of the Caribbean and around the entire continent of South America. 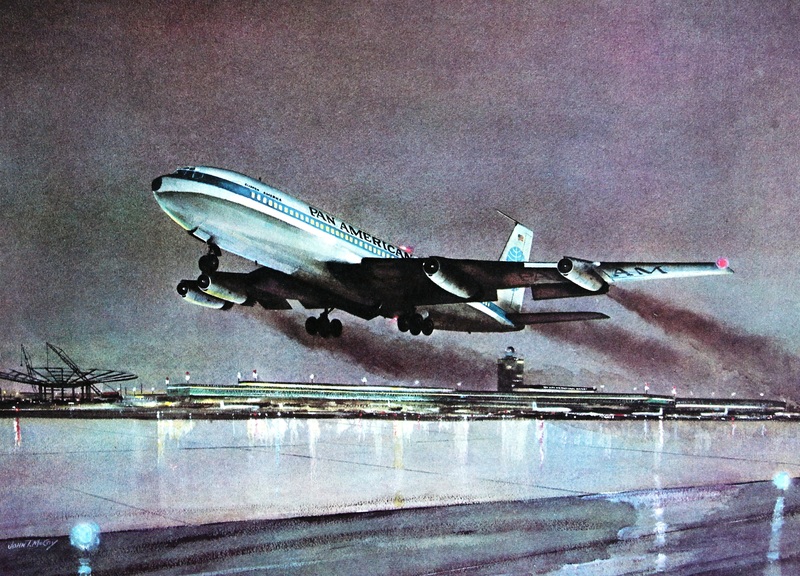 His most important destination, according to Ron Davies in Pan Am – An Airline and Its Aircraft, was Buenos Aires, the “Paris of South America”. 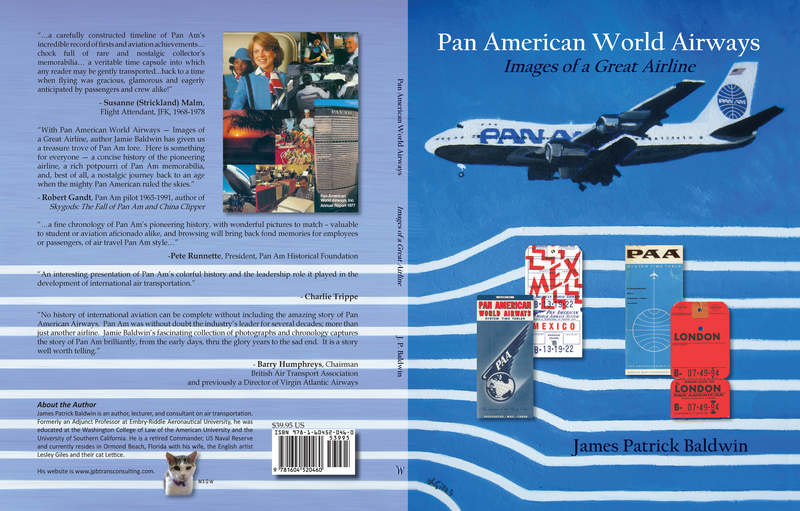 The plan, according to Robert Daley in An American Saga – Juan Trippe and His Pan Am Empire, were two lines in South America itself. One down the west coast to Santiago, Chile and the other down the east coast to Buenos Aires. 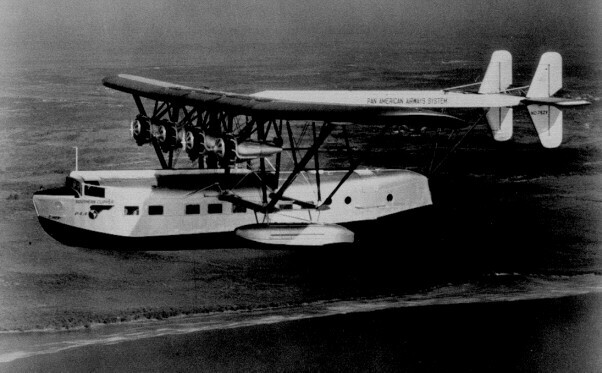 The shortest route to Buenos Aires, however, was by the west coast, and Juan Trippe needed the landing and traffic rights to set up that route. He was faced with a formidable challenge. 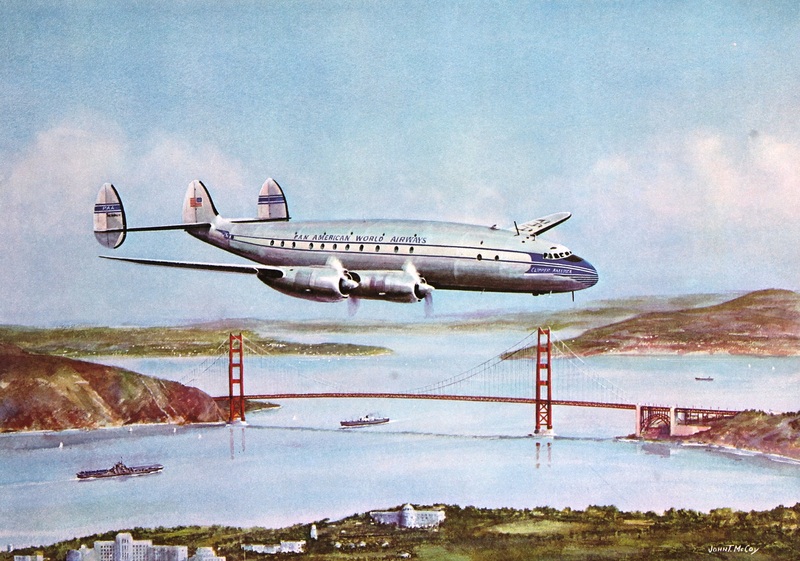 And if it was not for Pan American-Grace Airways, Panagra, that west coast passage would not have been possible. It all started in Peru. In 1854, William R. Grace, the son of an Irish immigrant, founded the W. R. Grace and Company in Peru, where he worked as a ship’s chandler. In 1865 his brother Michael joined the business and the company name was changed to Grace Brothers & Co with head offices in New York City. The company was incorporated in 1865. Later a third brother joined and the three consolidated their holdings into a new private company, W. R. Grace & Company. The consolidation involved W. R. Grace & Co. of New York, Grace Brothers & Co. of Lima, Peru, Grace & Co. of Valparaiso, Chile, William R. Grace & Co. of London and J. W. Grace & Co. of San Francisco. One of Grace’s main business was shipping. To get products from Peru to North America and Europe, William Grace founded the shipping division and service began in 1882. 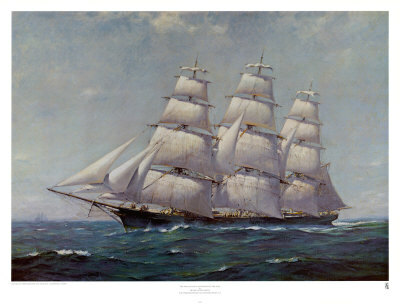 The shipping operation grew and Grace Line ships became a regular presence in the shipping lanes of the west coast of South America. They were known as the “Santa” ships and carried both passengers and cargo. The shipping operation, tied with an extensive business presence, including investment and ownership of piers, warehouses and real estate, gave W. R. Grace & Co. a powerful presence in the region. In the meantime, in 1928, also in Peru, another historic event took place: A tiny single-engined Peruvian Airways Fairchild FC-2 with four passengers and mail took off from a racetrack in Lima and landed in a soccer field in Talara, Peru, 550 miles away. For all intents and purposes, this represented the beginning commercial air transportation along the west cost of South America. Another company, Huff-Daland Dusters, a crop-dusting specialist, had, on the initiative of its local representatives Harold Harris and C. E. Woolman, obtained full Peruvian traffic rights. 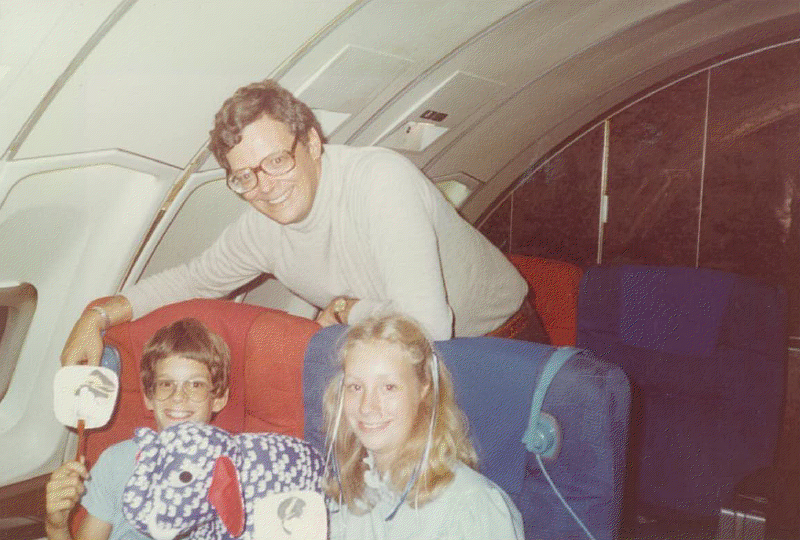 Harris was also founder of Peruvian Airways. Because of the power of the W. R. Grace, Juan Trippe encountered a huge obstacle. The company was run by Trippe’s father’s college roommate, W. R. Grace. 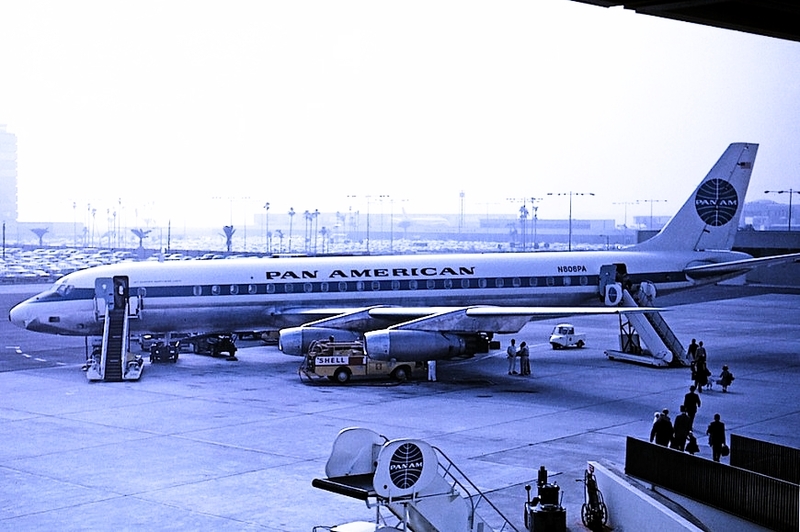 That was no help, however, as the company saw no reason why Pan American should be allowed to operate in its domain. As Grace was a shipping company, there was also no need for an airline to move mail and passengers faster than its ships did. To counter the power of Grace, Trippe sought to “exercise a political flanking movement”, according to Davies, by establishing airlines in Peru and Chile. As Peruvian Airways already existed, he purchased half interest in it on 16 September 1928 and on 28 November acquired the Peruvian air permits held by Huff-Daland Dusters. In Chile, Chilean Airlines was formed on 21 December 1928, but never operated. The formation, a “tactical move” by Trippe, put pressure on Grace. 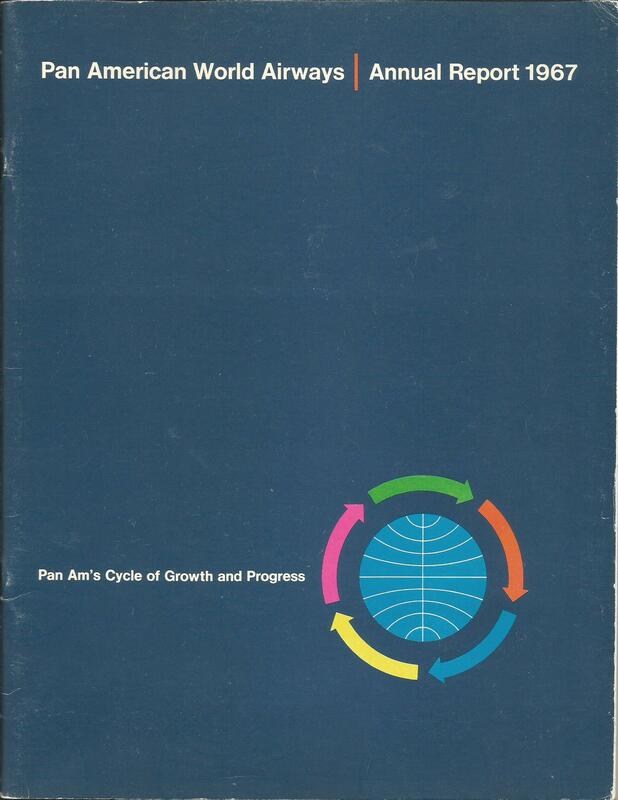 As a result, a compromise was reached and on 25 January 1929, Pan American-Grace Corporation (Panagra) was formed. Capitalization was $ 1 million (according to Daley; according to Davies, each side contributed $1 million), split 50-50. 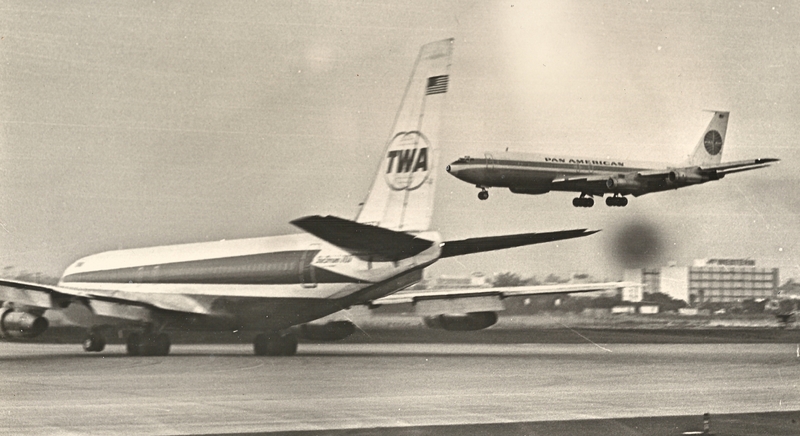 One month later, Panagra acquired Peruvian Airways. Panagra was incorporated on 21 February 1929 and on 2 March, won the FAM No. 9, Panama to Chile airmail contract, with a provision to cross the Andes to Buenos Aires and Montevideo. 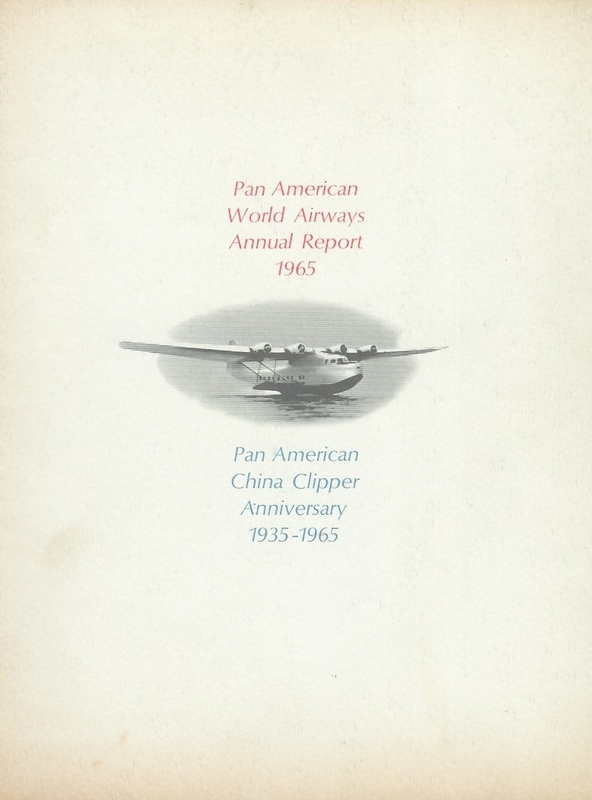 On 15 May, Panagra started its own service with a leased S-38 from Pan American. It picked up mail from Miami at Cristóbal (Panama) and carried it to Talara, where a FC-2 took it to Mollendo, Peru. The route was extended to Santiago on 21 July, and on 12 October, a Panagra Ford Tri-Motor made the first commercial flight across the Andes, reaching an altitude of 18,000 feet (5,486 meters) and establishing a mail route between Santiago and Buenos Aires. 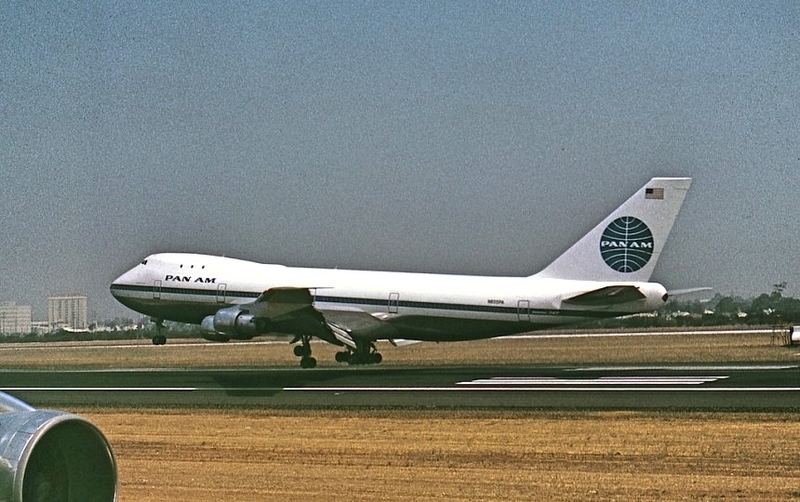 FC-2 (Mike Machat in Pan Am – An Airline and Its Aircraft). The route extended some 4,200 miles and what is often overlooked is that the flying distance it represented was virtually unheard of during that time. In less than a year from its inception, Panagra had linked Panama, Colombia, Ecuador, Peru, Chile, Argentina and Uruguay with the United States. 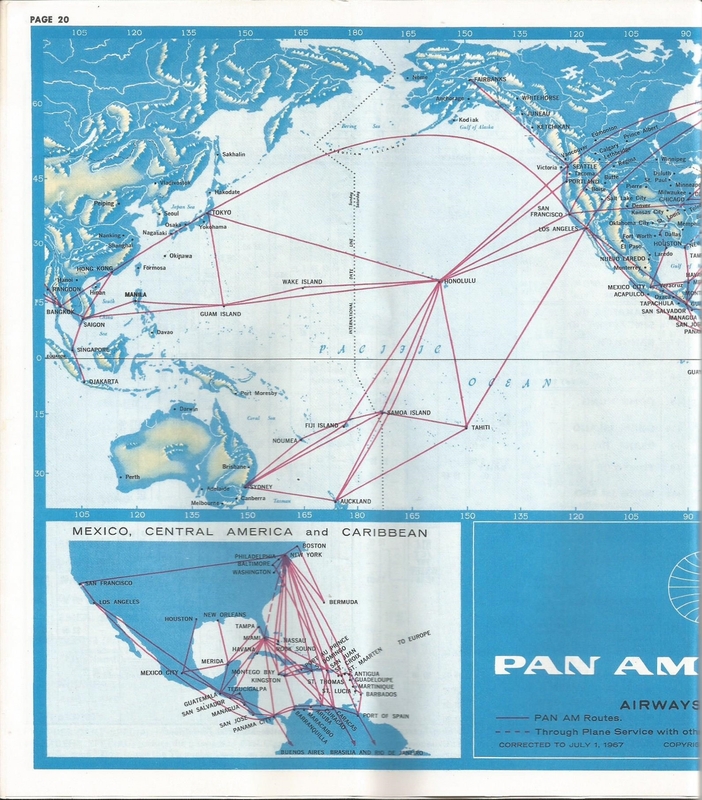 According to Daley, no domestic airline in the US had even managed to span the country, yet, with this route, and the eventual development of the east coast route, Juan Trippe and his Pan American empire was looking at pushing planes along ten thousand miles of routes. As Panagra expanded it achieved a number of firsts. 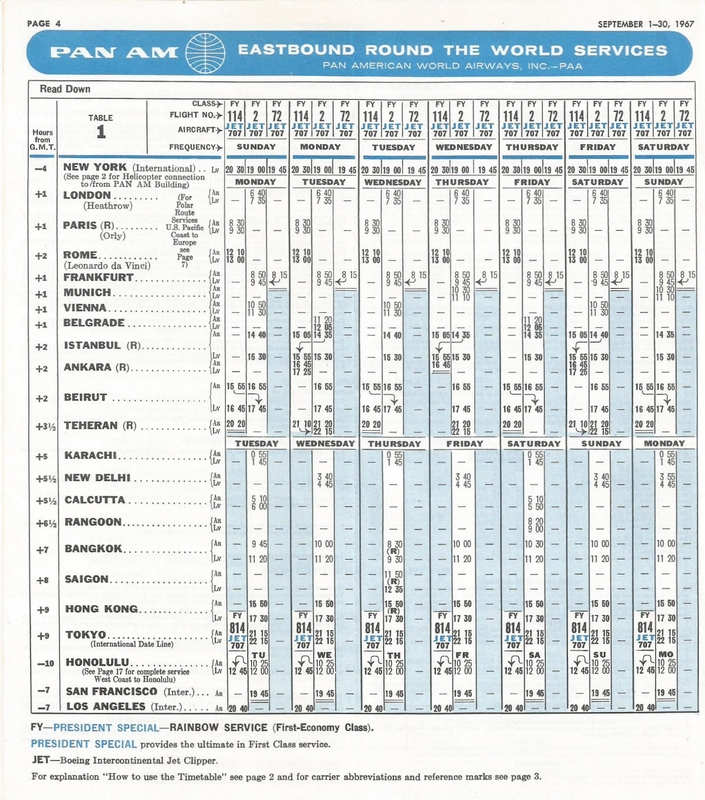 For example: In 1933, Panagra was the first to install radio and weather stations in the Andes between Chile and Argentina; in 1946, it was first to use South American flight hostesses; in 1947, it was first to introduce DC-6 service in South America and to provide sleeper service; in 1952, it was first to introduce DC-6Bs and inaugurate tourist-class services in South America; in 1954, it was first to use the latest airborne weather radar in regularly scheduled service; and in 1955, it was first to introduce DC-7B service between the US and Argentina. 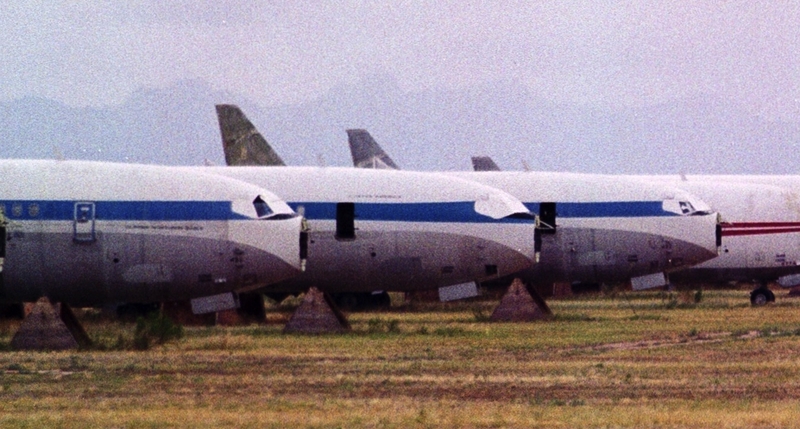 Panagra was also first to introduce the DC-8 to South America. Besides its firsts, Panagra was also noted for other achievements in support of other non-aviation events. Just before the bombing of Pearl Harbor, when war with the Axis was imminent, Panagra, with the assistance of the respective South American governments and at the request of the US State Department, first paralleled and then replaced the services of German controlled SEDTA in Ecuador and Lufthansa in Peru and Bolivia. This was designed to remove the Nazi threat in the region. In the humanitarian area, Panagra provided relief after earthquakes in Chile (1939 and 1961) and Peru (1948) and its planes were often sent on mercy missions, carrying, for example, vital life-saving medicine for a dying man, an iron lung to a girl stricken with polio and a shipment of drugs to arrest the spread of an epidemic. Panagra remained a presence on the west coast of South America through the decade of the 1950s. 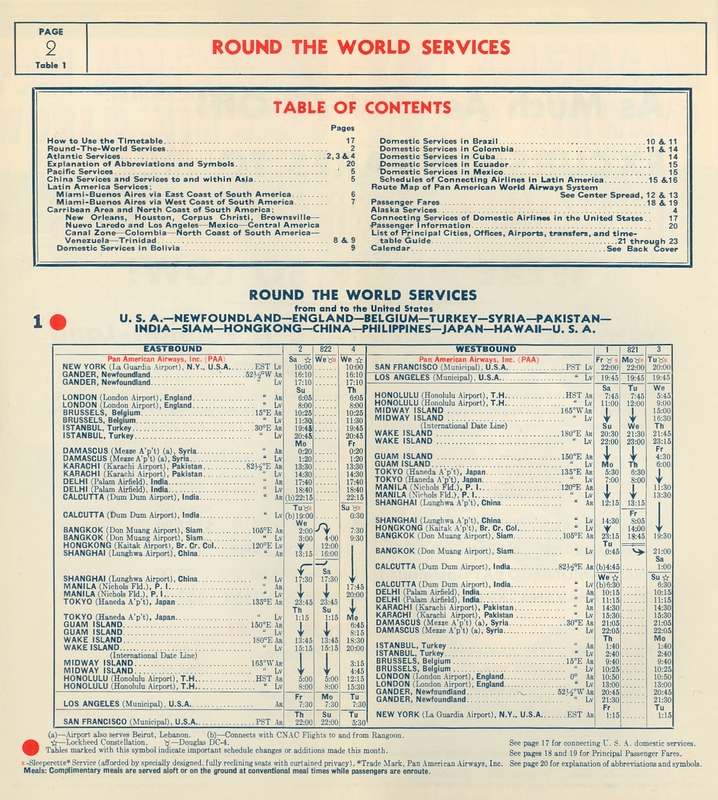 Its “El Pacifico” tourist service and “El Interamericano” first class service were the staple for travel from the United States to cities such as Guayaquil, Lima, Antofagasta, Santiago and Buenos Aires. 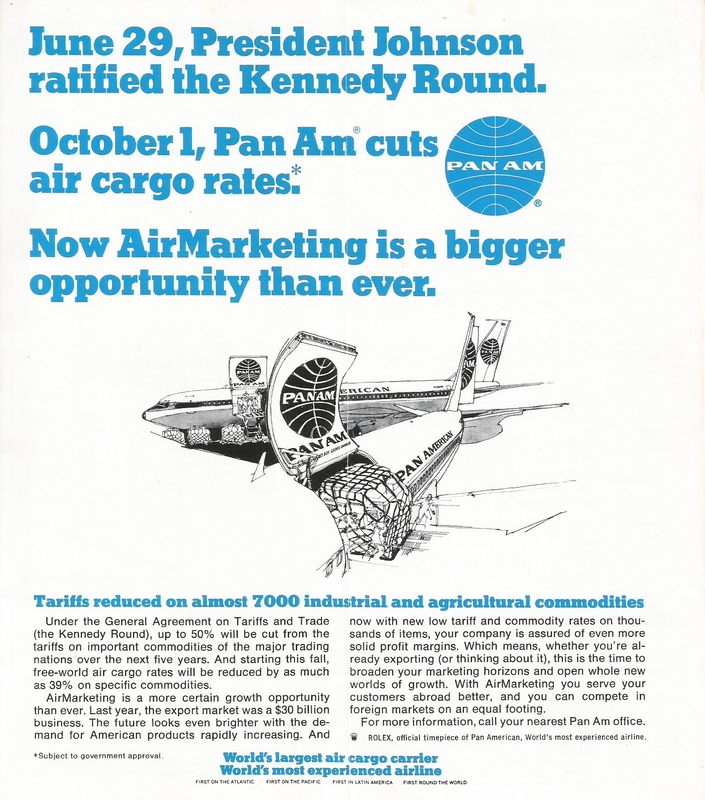 When Braniff was awarded authority to operate in competition with Panagra, Panagra extended its operations up to Miami and New York, in a thru-plane interchange service with Pan American and National Airlines. Braniff operated from Dallas and also offered similar service to Miami and New York with an interchange with Eastern Airlines. By the 1960’s Braniff was in negotiations to acquire the 50% interest of W. R Grace and in December 1965, a deal was made to purchase these shares. 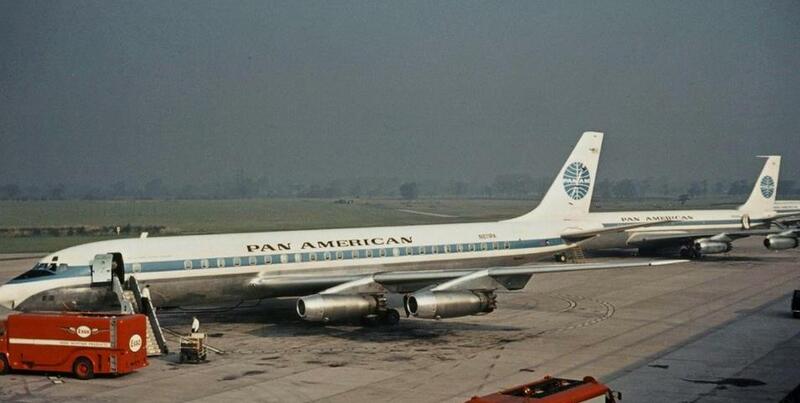 On 17 March 1966, the remaining 50% interest was acquired from Pan American. 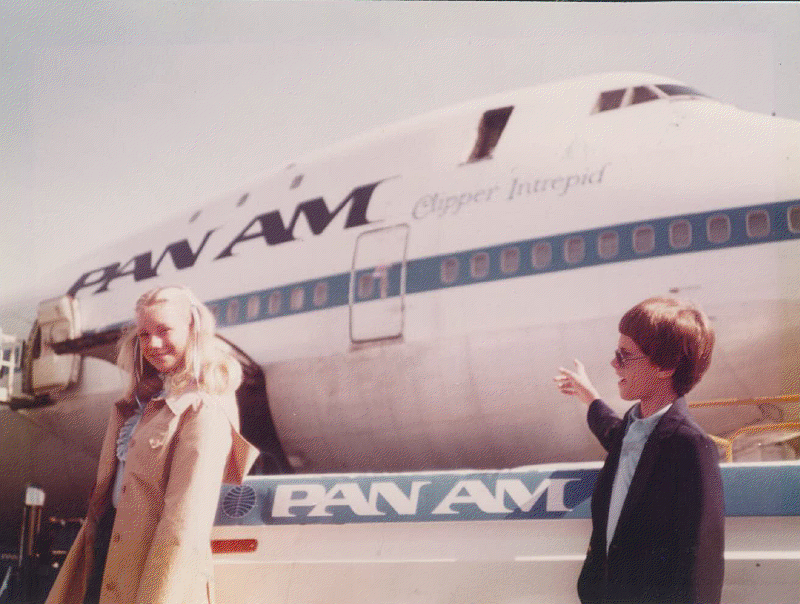 In July 1966, the acquisition was approved by the US Civil Aeronautics Board and by February 1967, Panagra’s operations were fully integrated into Braniff. 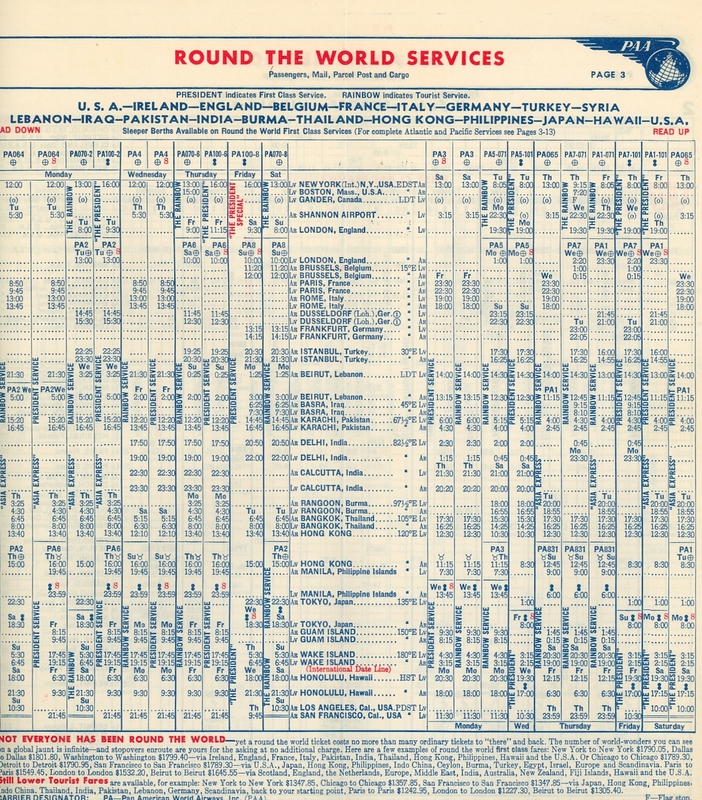 Panagra’s operations during its life can be best illustrated with timetables. 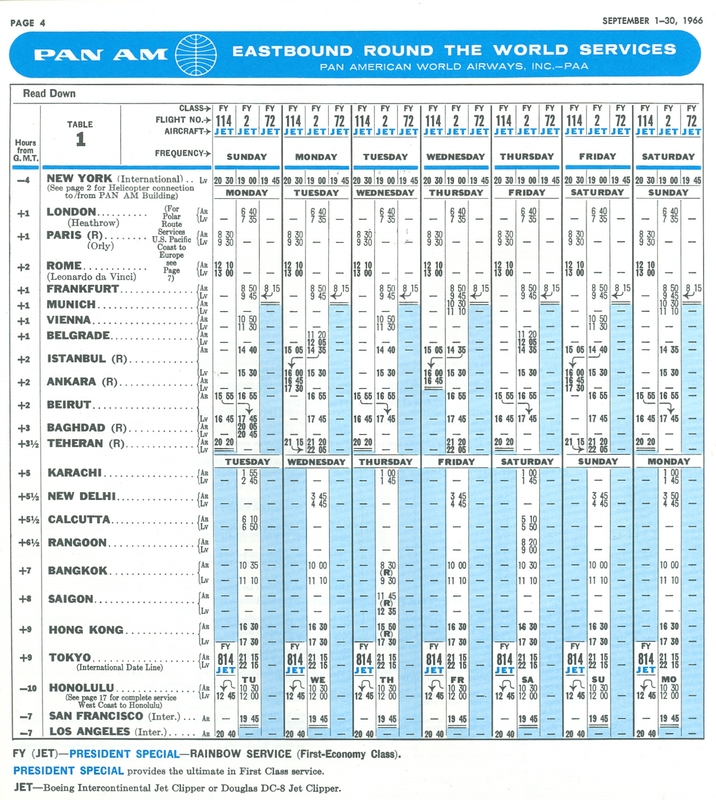 As Panagra was a major part of Pan American’s operations in South America, some of Pan Am’s timetables are used. 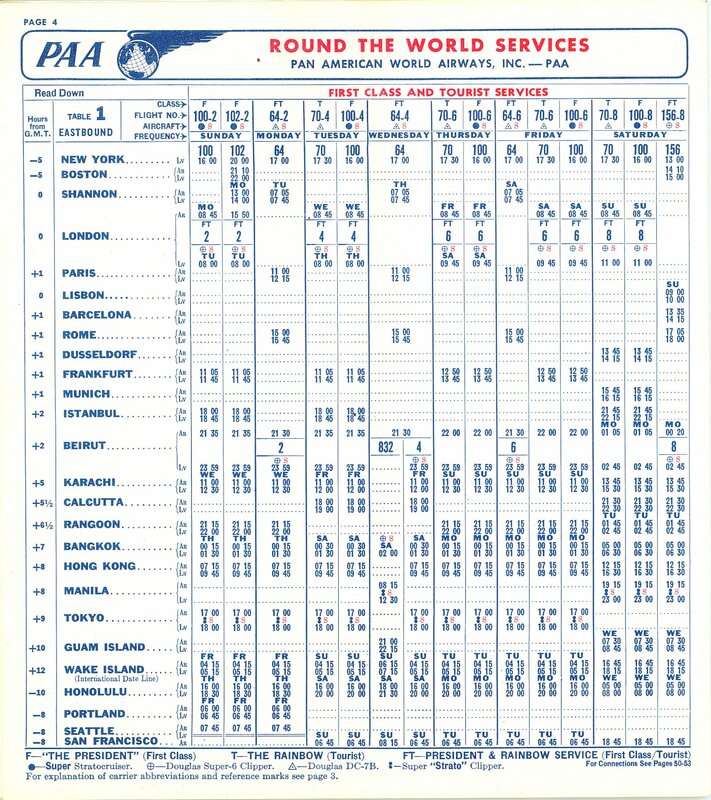 A 1939 timetable shows operations with a Pan American S-42 flying from Miami to Panama and then a Panagra DC-2 or DC-3 from Panama south to Buenos Aires. 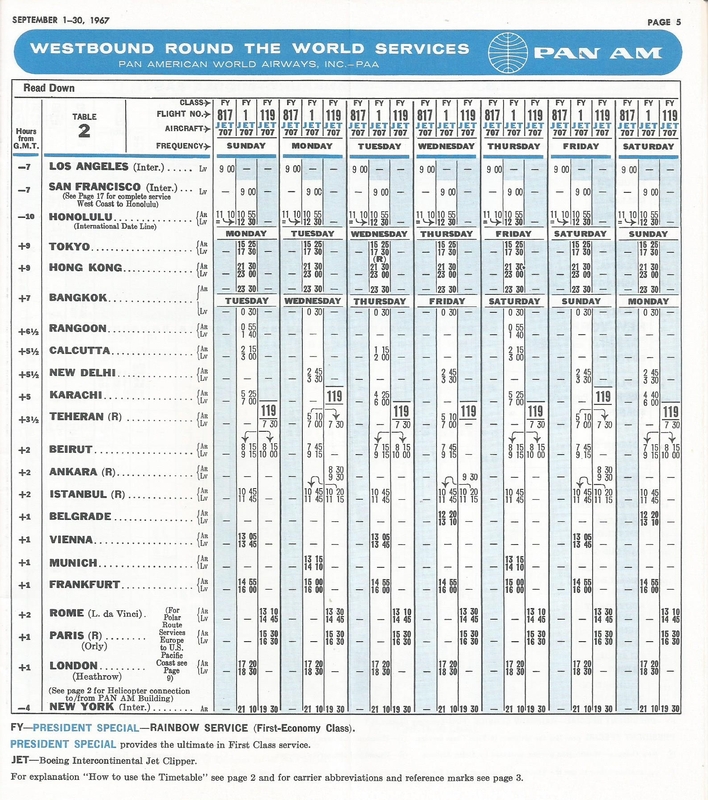 In the Pan Am 1948 and 1952 timetables, Panagra DC-6’s operated the “El Interamericano” first class service offering sleeper berths and the “Fiesta Lounge”. 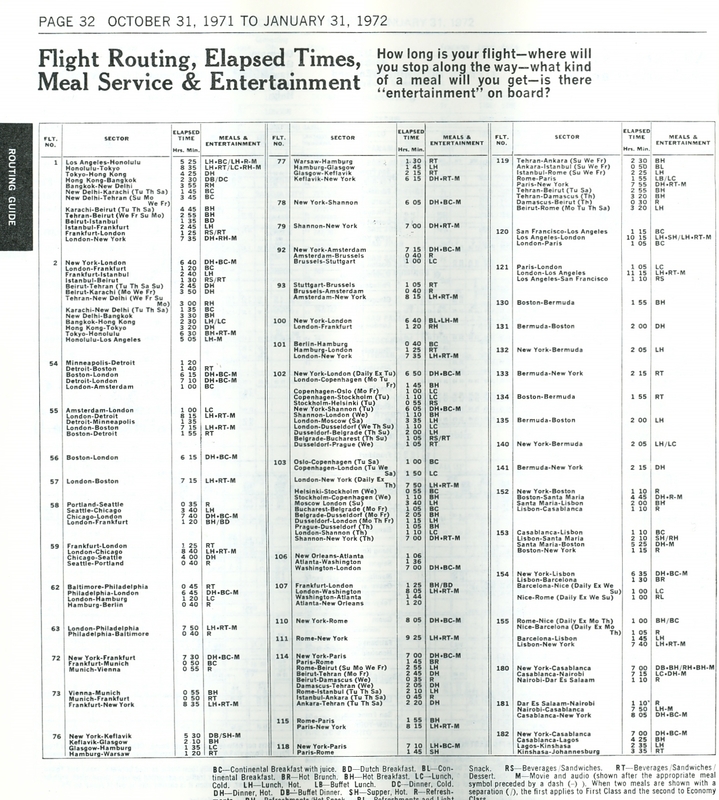 DC-4’s were also in the 1952 schedule offering “El Especial” tourist service. 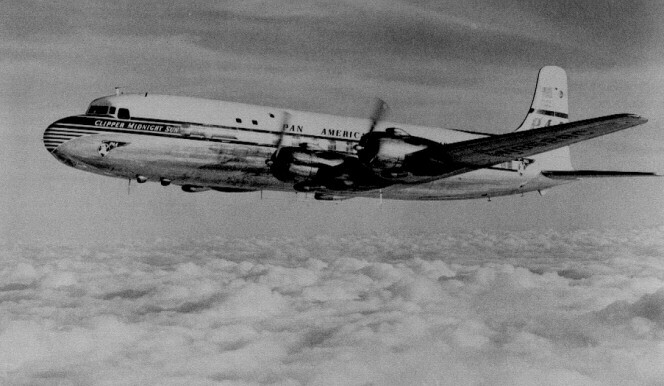 DC-3s were used in local services in Peru, Chile and Bolivia. DC-4 – Blas Zufic and Tatiana VonLignau on stairs(panamericangrace.com). DC-4 Interior Purser Blas Zufic facing camera (panamericangrace.com). 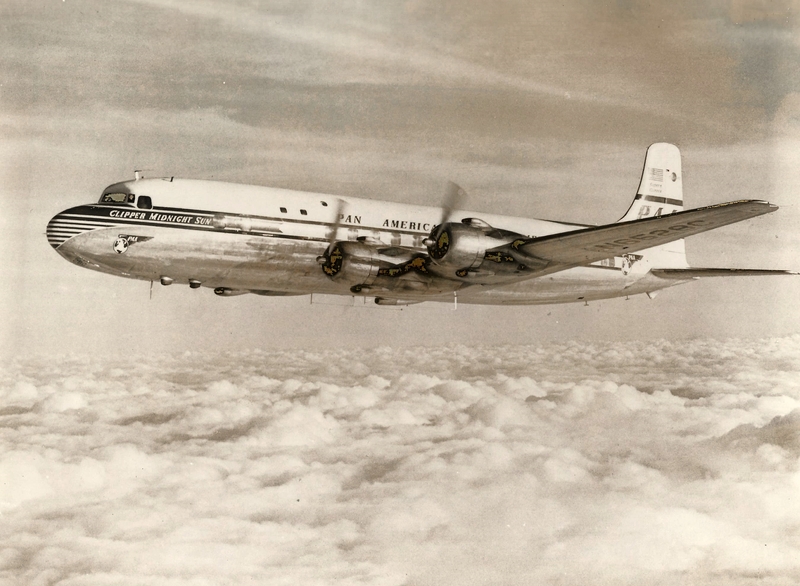 The decade of the 1950s featured extensive operations employing the DC-7B in the all-first class “El Interamericano” service, the DC-6B in the tourist “El Pacifico service and the DC-3 and DC-4 in local services in Bolivia, Chile, Ecuador and Peru. 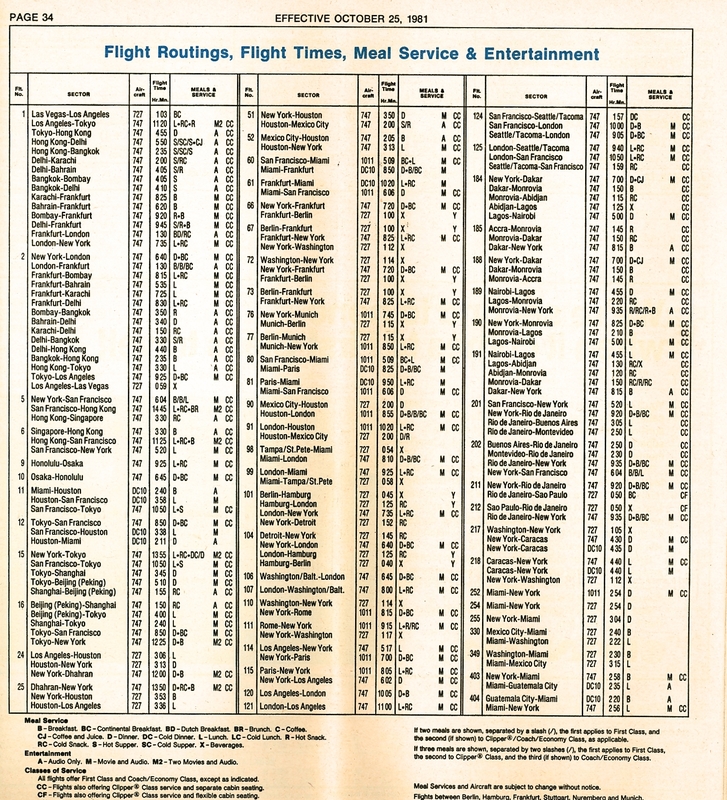 The Interamericano and El Pacifico flights were a thru-plane interchange service originating in New York. 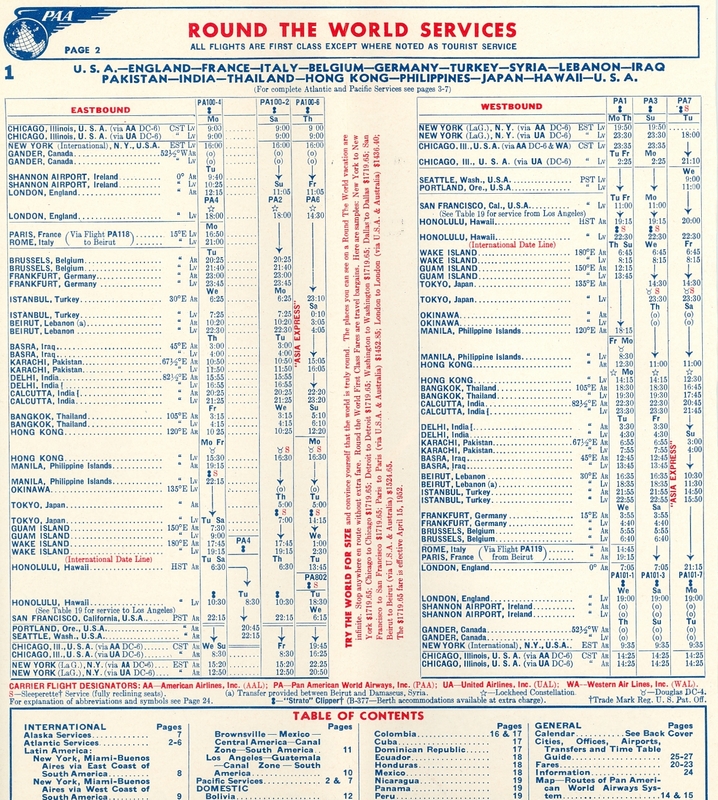 National operated the New York/Washington, DC – Miami sector and Pan American operated Miami-Panama sector. 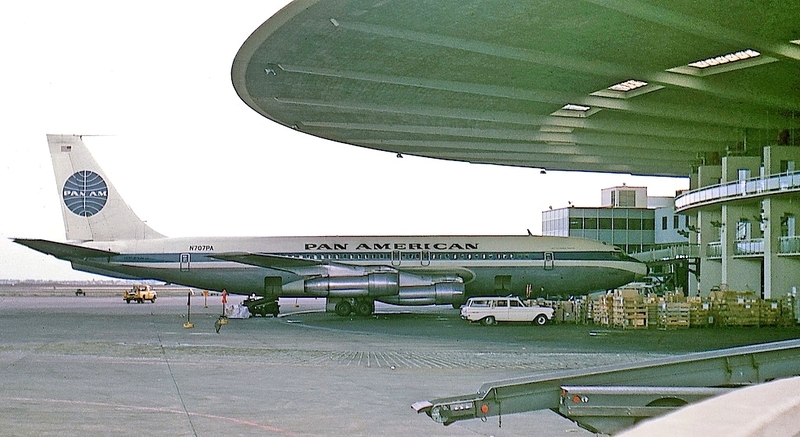 The Panagra flights also received connecting passengers at Panama from Pan Am’s Central American services. 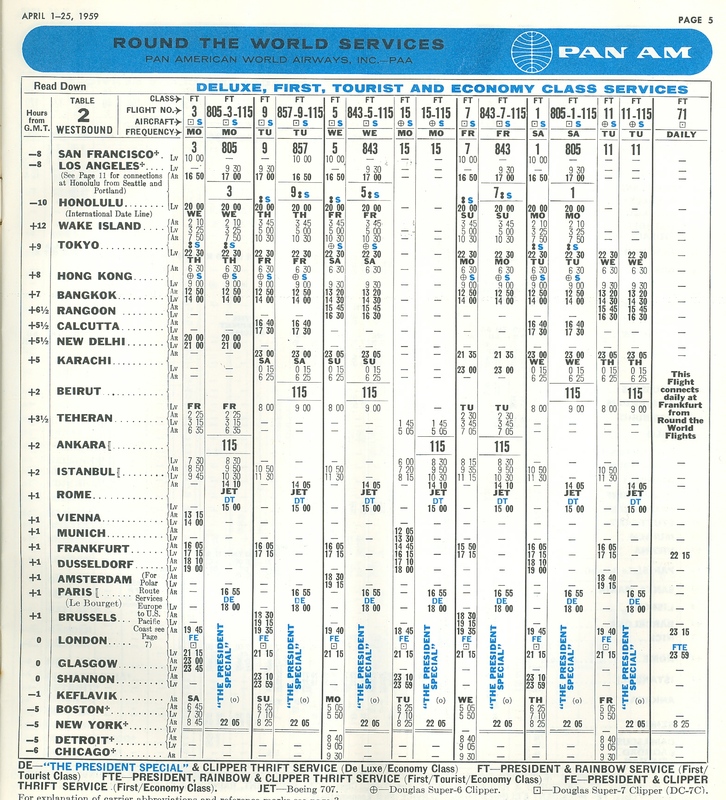 A 1959 Pan Am timetable illustrates these services. Braniff also operated west coast routes with its first class “El Dorado” DC-7C services and tourist class “El Conquistador” DC-6 services. Braniff also offered a trans-continental service from Lima to Rio de Janeiro, Brazil. 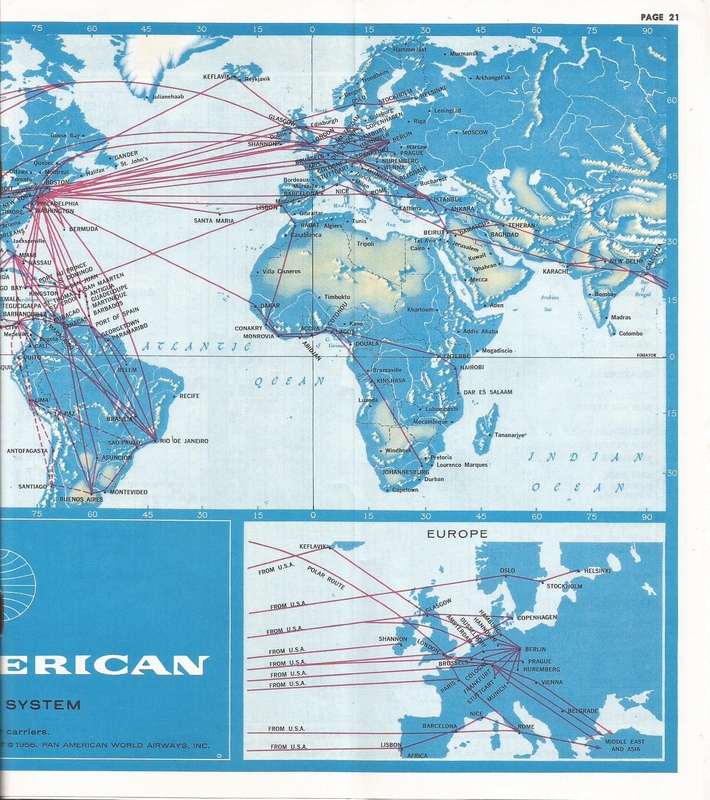 Connecting services to Pan American’s Central America services. 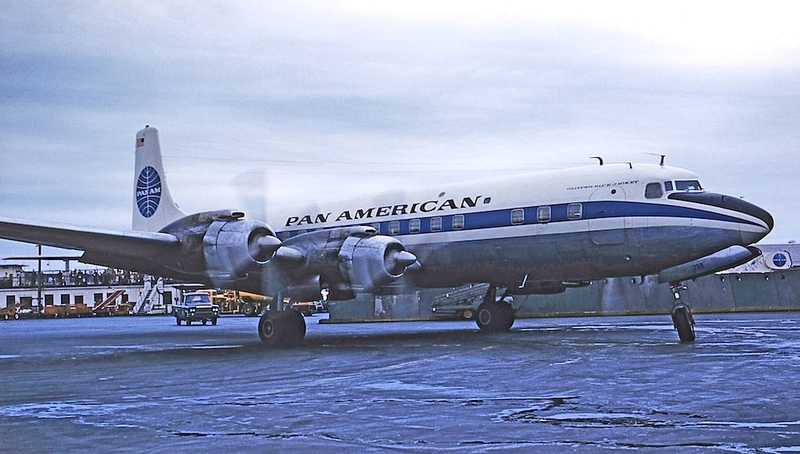 El Interamericano – DC-7B (panamericangrace.com). 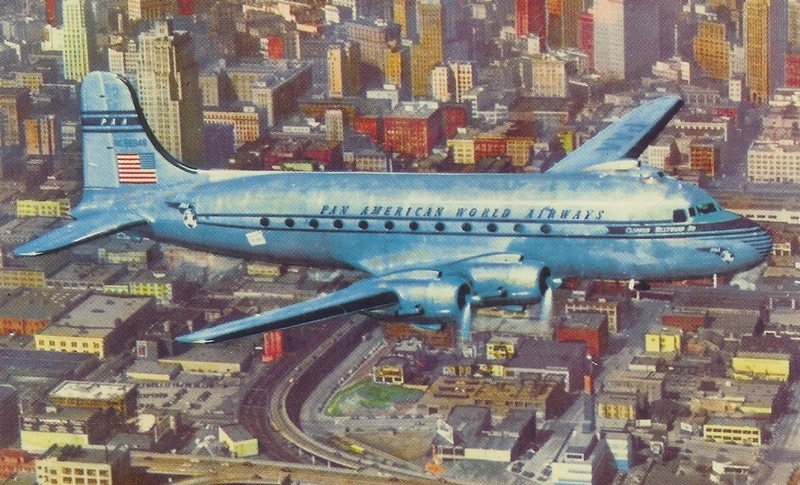 El Pacifico – DC-6B (panamericangrace.com). 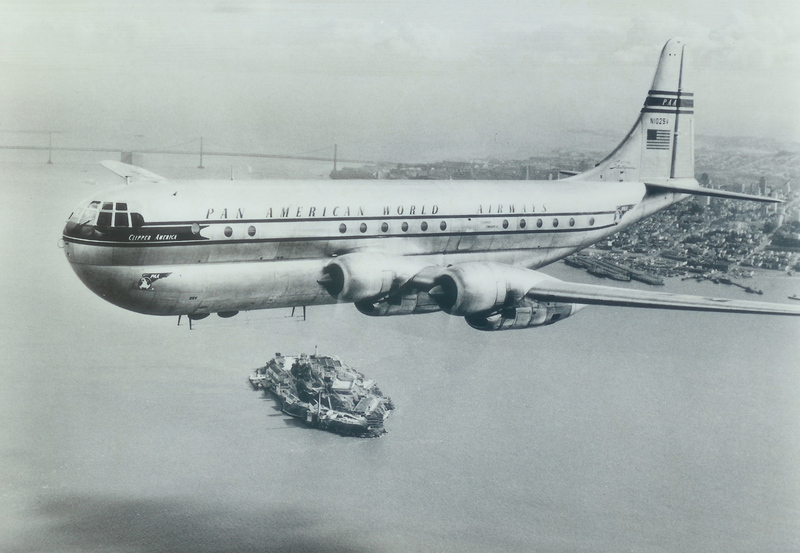 El Conquistador – DC-6 (Jon Proctor). 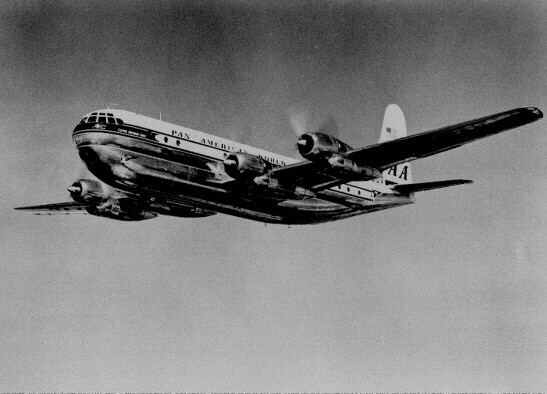 El Dorado – DC-7C (Jon Proctor). 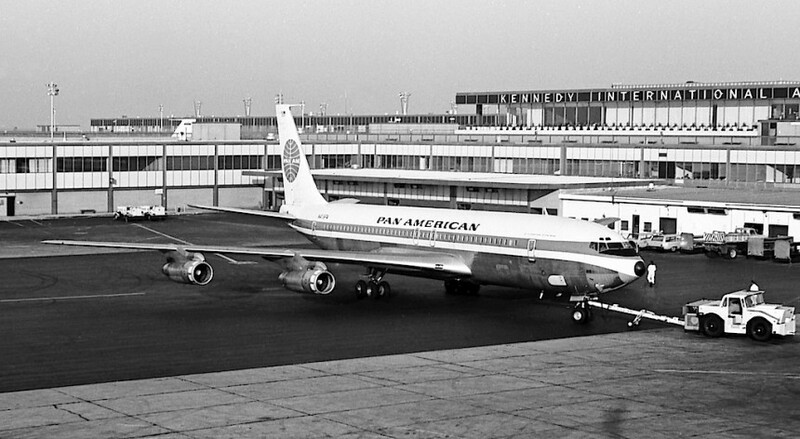 In 1960 came the jets, and Panagra introduced the DC-8 to its New York to Buenos Aires thru-plane service. 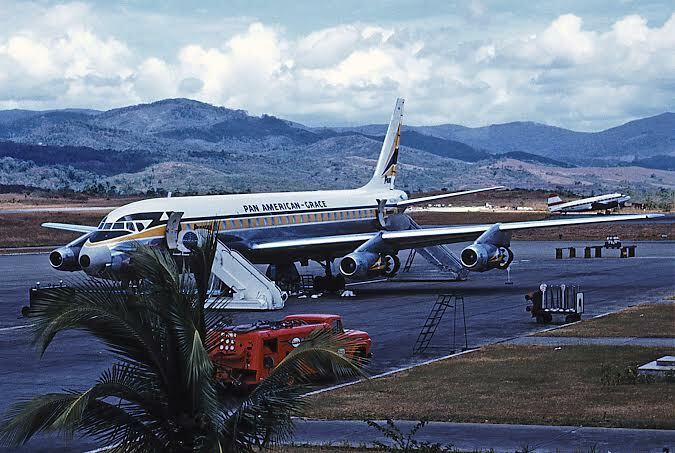 Panagra DC-8 at Panama (Allan Van Wickler). 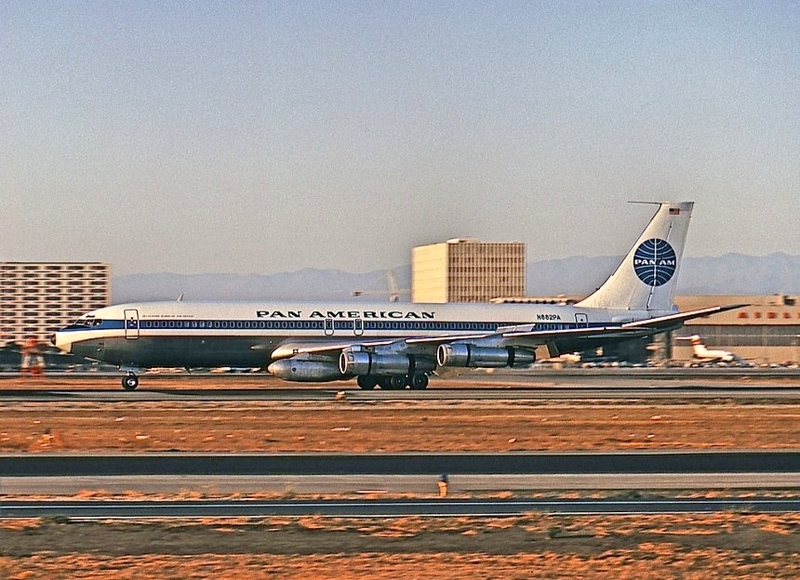 By 1967, Braniff’s acquisition of Panagra was complete, although Pan American’s timetables continued to show the service up to 1971.
ex-Panagra DC-8 with Braniff livery (panamericangrace.com/braniffpages). Gustavo Vidal was with Pan American-Grace Airways at it’s inception in 1929 and was the airline’s first Comptroller. Vidal remained with the airline as Comptroller and Vice President until November 1950. At that time, he assembled a photo album highlighting the early years of Panagra, complete with an accompanying typed list of descriptions of each photo. When Vidal passed away in 1975 many of his files went into storage. The photo album surfaced again for the first time in 2012, and is presented here in its entirety. To view it, click here. Also included in this link is Vidal’s Panagra-related personal images and mementos, a confidential docket on “Panagra’s Importance to National Defense” and Panagra’s 30th Anniversary Publicity Kit. 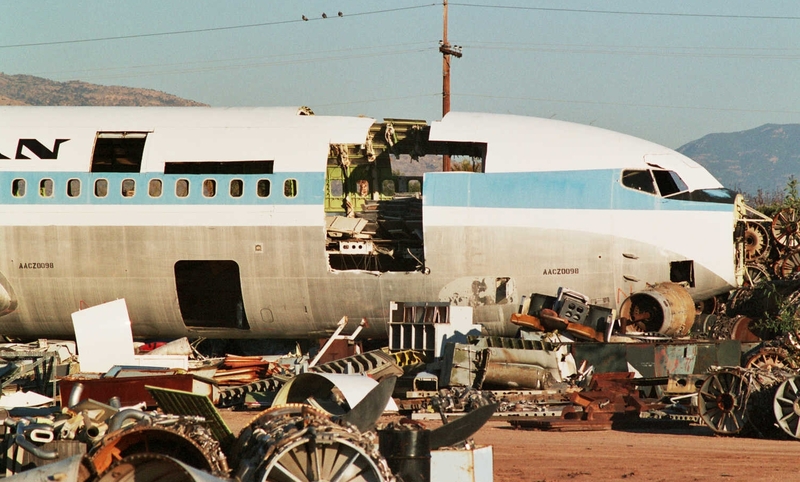 For further information and images of the airline, Chip and Jef Reahard have made an outstanding home for Panagra on the internet. Visit PanAmericanGrace.com for the definitive Panagra website.